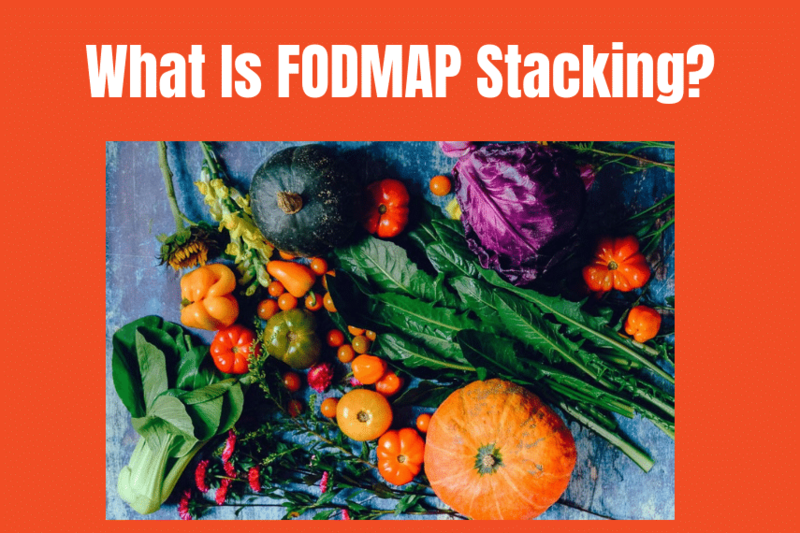 Simply put, if you are not paying attention to the AMOUNTS of foods that you eat and the COMBINATION of foods that you eat, then you risk FODMAP stacking. Portions & Food Combination Choices Count! When following the low FODMAP diet we are consuming amounts of foods in their various FODMAP levels, which initially can be determined by using the Monash University Low FODMAP Diet Smartphone App or the FODMAP Friendly App. 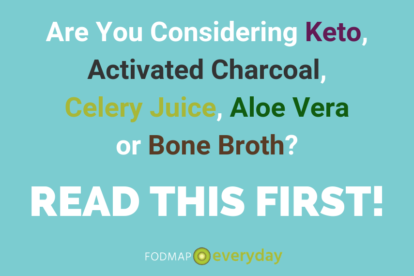 These two resources will show you the lab tested amounts of FODMAPs in foods. Ultimately the amount that is low FODMAP for YOU will be determined during a structured Challenge Phase, but the apps, which provide lab-tested results for individual foods, are the place to start. Then we also have to pay attention to food AMOUNTS as well as what MULTIPLE FOODS we eat during the same meal. This article on What Is FODMAP Stacking? will explain what you need to know and why it is important. The same food, such as almonds, can have a low FODMAP approved portion as well as a high FODMAP portion. This is why you might see almonds listed on low FODMAP food lists as well as high FODMAP food lists. Neither is more right or wrong than the other. What is missing is the discussion of AMOUNTS and how it relates to you. 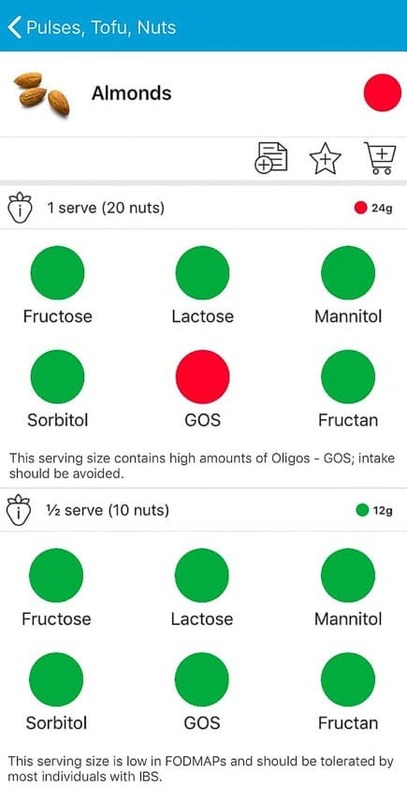 As you can see from the Monash app to the left, almonds have a big Red Light next to them, indicating that they are high FODMAP. The app also tells us that the FODMAP in almonds is GOS (galacto-oligosaccharides). This is important for our stacking, so remember this fact. But we don’t have the whole story yet. Look at the AMOUNT. One serving is very arbitrarily determined by Monash to be 20 nuts (24 g). 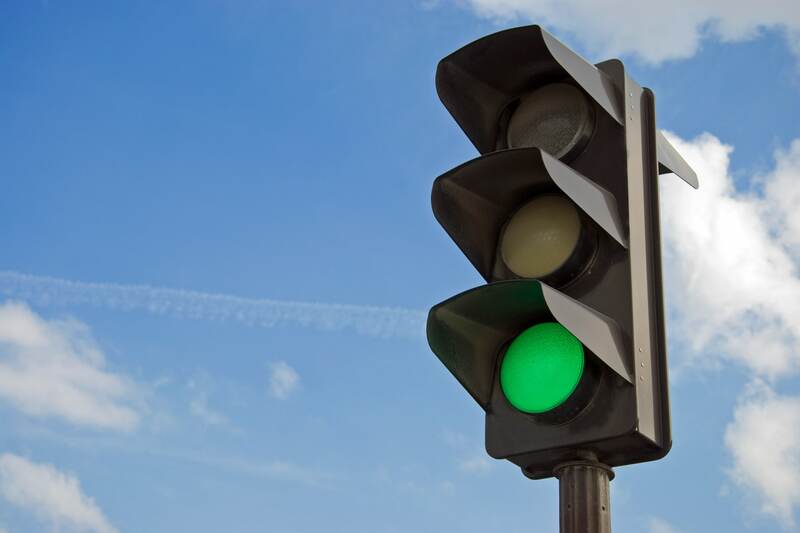 At 10 nuts (12 g) almonds are at a recommended Green Light low FODMAP serving. So now we know that a low FODMAP serving of 10 almonds (12 g) should be tolerated by most individuals with IBS. This is also very important to remember because it represents when almonds demonstrate a low FODMAP amount – in the lab. You are NOT a lab, so while it is important to know what FODMAP amounts are, it is not the whole story. Now let’s look at the type of FODMAP in the almonds – GOS. Here is where the stacking picture becomes more clear. Hazelnuts are considered low FODMAP in servings of 10 nuts (15 g). They also contain GOS. So, if you decide to make a little nut combo as a snack and eat a low FODMAP portion of BOTH almonds (10 nuts/12 g) AND hazelnuts (10 nuts/15 g) you will have STACKED your FODMAPs because they both contain the same FODMAP. Now, let’s say you decide to have a different snack and combine the 10 almonds (12 g) with a small 125 ml glass of orange juice. Orange juice contains FRUCTOSE, but no fructans, so you would NOT be STACKING FODMAPs. This snack combo is low FODMAP. BUT, whether this is ultimately an issue for YOU (remember you are not a lab) will be determined as you go through the diet and experience the diet and determine what works for you personally. Stacking becomes an issue when foods containing the same FODMAPs are consumed at the same meal. 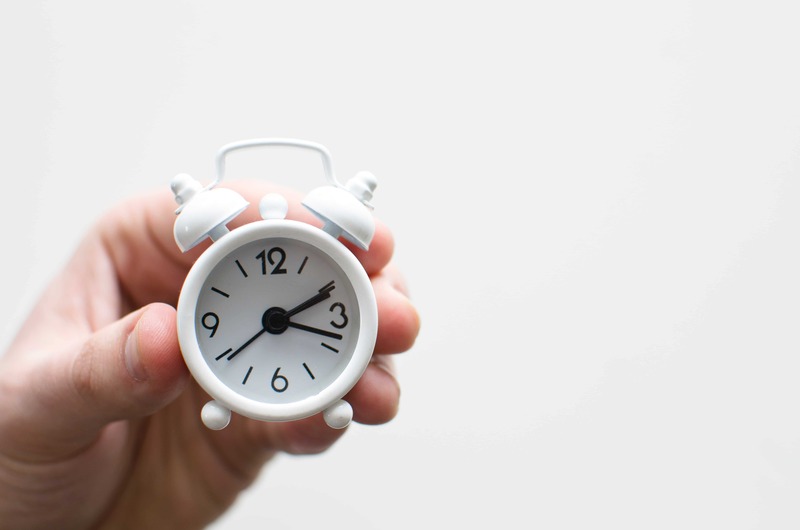 Meals are assumed to be about 3 to 4 hours apart. So, in theory, you could eat your 10 almonds (24 g) at breakfast and eat them again – or maybe eat those hazelnuts – at lunchtime and experience no ill effects. Individual Tolerance is What Counts Most Of All! Whether an IBS symptom is triggered is a highly individual issue. Here is where your unique digestive system comes into play. One person might be able to actually eat 20 almonds (24 g) – DOUBLE the recommended amount – at one time and experience no symptoms. Another person might only be able to tolerate HALF of the recommended low FODMAP amount and discover that 5 nuts (6 g) is what sits well with them. And yet another person might learn that 10 almonds (24 g) is fine, but not twice in one day or even two days in a row. The Challenge Phase in particular is best approached with help. 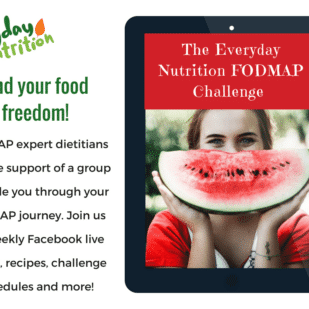 Joanna Baker and Marnie Nitschke have an online program called The Everyday Nutrition FODMAP Challenge Collective that you might look into. The low FODMAP diet has many components. There are lab tested foods. There are published amounts of individual FODMAPs in foods. There are meals and recipes that you make in your own kitchens and eat out at restaurants that incorporate multiple foods and stack FODMAPs. 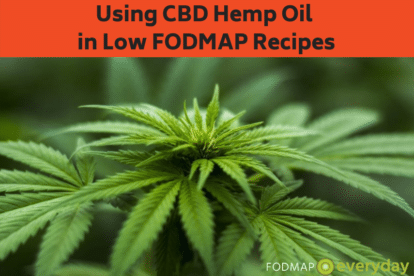 But the most important thing is how you react to FODMAPs yourself and learn to create what we call your own FODMAP Roadmap, that will keep triggers at bay. Ultimately it doesn’t matter what any lab testing says. Remember, you are not a lab. Our goal is to provide you with the information that you need to be able to go forth and THRIVE on the low FODMAP diet! 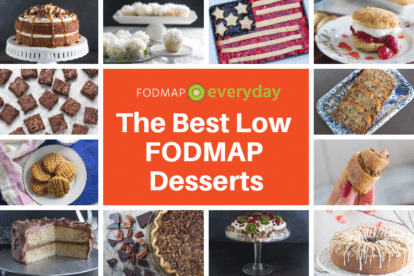 Do you you have a tried-and-true favorite recipe that you would like to still be able to enjoy while following the low FODMAP diet, but think it might be filled with stacked FODMAPs? We have a FODMAP IT!™program where we can reconfigure the recipe for you to enjoy! We will make it low FODMAP! If we re-create it successfully, we may include it in our FODMAP Everyday® recipe archive for all to enjoy.